Should Economists Pay More Attention to Politics? Economists often ignore politics when analyzing policy issues or view politics as a problem to overcome rather than as fundamental. When evaluating a carbon tax, for example, I try to tote up its potential environmental benefits, its hit to consumers and producers, what happens to the revenues, etc. I might also ponder what policy tweaks could facilitate a political coalition willing to enact such a tax. But I don’t typically worry about how a carbon tax would change the balance of power among coal, oil, nuclear, natural gas, and nuclear interests or between energy consumers and producers. There is a broad—even if not always explicitly articulated—consensus amongst economists that, if possible, public policy should always seek ways of reducing or removing market failures and policy distortions. In this essay, we have argued that this conclusion is often incorrect because it ignores politics. In fact, the extant political equilibrium may crucially depend on the presence of the market failure. Economic reforms implemented without an understanding of their political consequences, rather than promoting economic efficiency, can significantly reduce it. Our argument is related to but different from the classical second-best caveat of Lancaster and Lipsey (1956) for two reasons. First, it is not the interaction of several market failures but the implications of current policy reforms on future political equilibria that are at the heart of our argument. Second, though much work still remains to be done in clarifying the linkages between economic policies and future political equilibria, our approach does not simply point out that any economic reform might adversely affect future political equilibria. Rather, building on basic political economy insights, it highlights that one should be particularly careful about the political impacts of economic reforms that change the distribution of income or rents in society in a direction benefiting already powerful groups. In such cases, well-intentioned economic policies might tilt the balance of political power even further in favor of dominant groups, creating significant adverse consequences for future political equilibria. Our argument is that economic policy should not just focus on removing market failures and correcting distortions but, particularly when it will affect the distribution of income and rents in society in a direction that further strengthens already dominant groups, its implications for future political equilibria should be factored in. 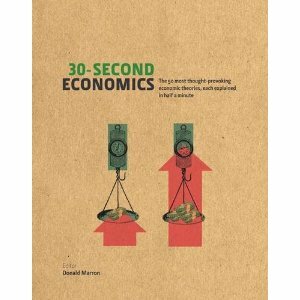 It thus calls for a different framework, explicitly based in political economy, for the analysis of economic policy. Much of the conceptual, theoretical, and empirical foundations of such a framework remain areas for future work. They offer several examples, including the allocation of natural resource rights (an Australian approach promoted democracy, while one in Sierra Leone did not) and financial and banking regulation / deregulation in the United States. Immigration policy poses an unusual challenge for the Congressional Budget Office and the Joint Committee on Taxation. If Congress allows more people into the United States, our population, labor force, and economy will all get bigger. But CBO and JCT usually hold employment, gross domestic product (GDP), and other macroeconomic variables constant when making their budget estimates. In Beltway jargon, CBO and JCT don’t do macro-dynamic scoring. That non-dynamic approach works well for most legislation CBO and JCT consider, with occasional concerns when large tax or spending proposals might have material macroeconomic impacts. That approach makes no sense, however, for immigration reforms that would directly increase the population and labor force. Consider, for example, an immigration policy that would boost the U.S. population by 8 million over ten years and add 3.5 million new workers. If CBO and JCT tried to hold population constant in their estimates, they’d have to assume that 8 million existing residents would leave to make room for the newcomers. That makes no sense. If they allowed the population to rise, but kept employment constant, they’d have to assume a 3.5 million increase in unemployment. That makes no sense. And if they allowed employment to expand, but kept GDP constant, they’d have to assume a sharp drop in U.S. productivity and wages. That makes no sense. Because increased immigration has such a direct economic effect, the only logical thing to do is explicitly score the budget impacts of increased population and employment. And that’s exactly what CBO and JCT intend to do. In a letter to House Budget Committee Chairman Paul Ryan on Thursday, CBO Director Doug Elmendorf explained that the two agencies would follow the same approach they used back in 2006, the last time Congress considered (but did not pass) major immigration reforms. In scoring the 2006 legislation, JCT estimated how higher employment would boost total wages and thus increase income and payroll taxes, and CBO estimated how a bigger population would boost spending on programs like Medicaid, Food Stamps, and Social Security. They found that the legislation would boost revenues by $66 billion over the 2007-2016 budget window and would boost mandatory spending by $54 billion; various provisions also authorized another $25 billion in discretionary spending subject to future appropriations decisions. I remember that estimate well since I was then CBO’s acting director. At the time, I thought this was a pretty big deal, doing a dynamic score of a major piece of legislation. I expected some reaction or controversy. Instead, we got crickets. It just wasn’t a big deal. The direct economic effects of expanded immigration—bigger population, bigger work force, more wages—were so straightforward that folks accepted this exception from standard protocol. I hope the same is true this time around. Note: The approach CBO and JCT will use in scoring immigration legislation is only partially dynamic. It accounts for the direct effects of increased immigration, such as a bigger population and labor force, but not indirect effects such as changing investment. In other words, it follows the standard convention of excluding indirect changes in the macroeconomy; the innovation is accounting for the direct effects. We used the same approach in 2006, analyzing indirect effects in a companion report separate from the official budget score. CBO and JCT will take the same approach this time around.